Another basket case body. 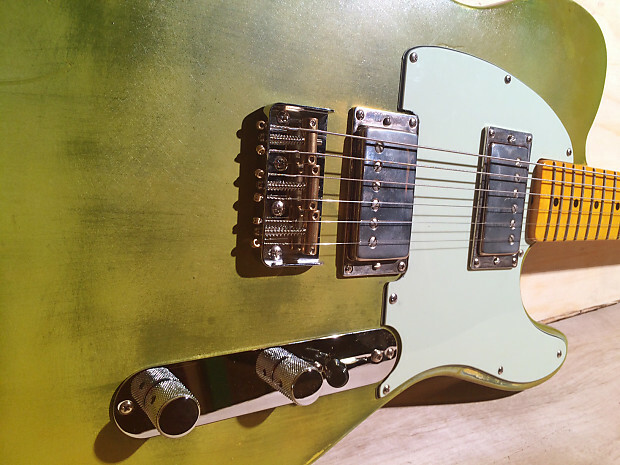 Swamp ash, which had been routed for a pair of humbuckers and a Strat tremelo with the trem bar cut in the wrong position. It may not be the best looking guitar ever made but it will crush the opposition tone-wise - it's a beast. Sherwood Green spookily blended with Smoke Green nitro over black nitro. 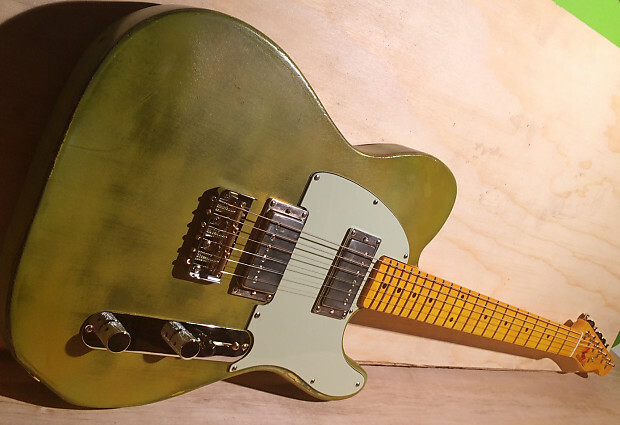 WD Neck FENDER® LICENSED TELE® NECK One piece vintage maple. 21 medium jumbo frets, 10 inch radius, 1 5/8 inch nut width, 'C' shape with a honey tinted gloss finish. Bone nut.